Every so often, a new brand steps into my life and I fall in love. I love really cute accessories but as with my fashion, I love to have things that are just that little bit different. I recently met girl boss Brenda who works in tech by day but runs Six for Gold Boutique by night. Her story really struck a chord with me, as like myself with this very blog, it is a real passion project. More than that, she runs it out of her Belfast home and ships across the globe! The jewellery she stocks is stunning pieces, hand picked by Brenda. I've been rocking my Native Gem piece which she kindly gave me and I know this will be the start of a very long addiction with Six for Gold! What inspired you to start Six for Gold Boutique? I’ve always loved jewellery and accessories and I’m a bit of a magpie (the name sixforgold comes from the magpie rhyme), anything sparkly catches my eye. I’ve always travelled a lot; for work and holidays and jewellery was something I always picked up along the way. I’ve never been a fan of mass-produced jewellery and I love discovering less well known indie brands. People often stopped to ask me where I found a particular piece of jewellery (often in airports for some reason). Over the years many people had commented that I should leave software and source jewellery for a living! Well I’m not living the dream just yet but when an opportunity to take some time out from the corporate game appeared I grabbed it with both hands. I took a few months out and created sixforgold. I’m back to working in software for my day job now but my free time is spent building sixforgold and discovering new designers. Where does your jewellery obsession come from? I really have no idea! My Mom rarely wears any jewellery so I didn’t pick it up from her! I really love all accessories but for me it’s the little details that make an outfit. The right jewellery can transform your outfit and I love that is often tells a story. Tell us about the brands you stock and why? I seek out independent designers whose pieces can’t be found on the high street. Everything has to be handmade and in some cases pieces are made to order. I really look for affordable luxury when I source new pieces. I want the jewellery I stock to be a ‘treat’ but I also want it be affordable. I love to stock designers that have no other outlets in Europe too as I think women today want that little bit of exclusivity, Native Gem and Leighelena are a great example. The best jewellery comes from designers with an amazing passion for what they are doing; I love to meet the designers face to face so I can learn about what inspires them. Do you have a favourite brand that you stock? Right now I am loving the Native Gem collection – I have a real thing for druzies and the pieces are so unique. They look so much more expensive than they are. I discovered the line when I was in New York earlier this year and it was a moth to a flame moment! I just knew that my customers would love it and it’s been my best-selling line this year. 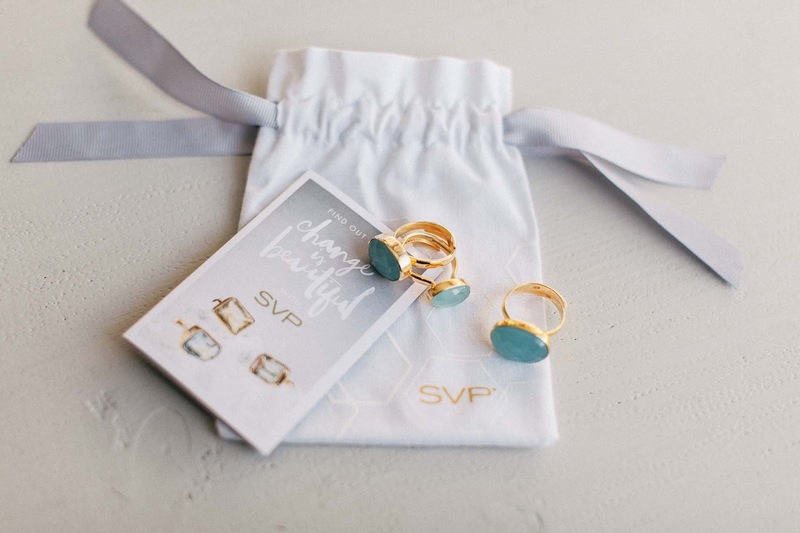 I also adore the SVP Bonbon rings and every so often I treat myself to a new stone, the blue chalcedony is next on my list! Is there a jewellery brand that you wish you owned? 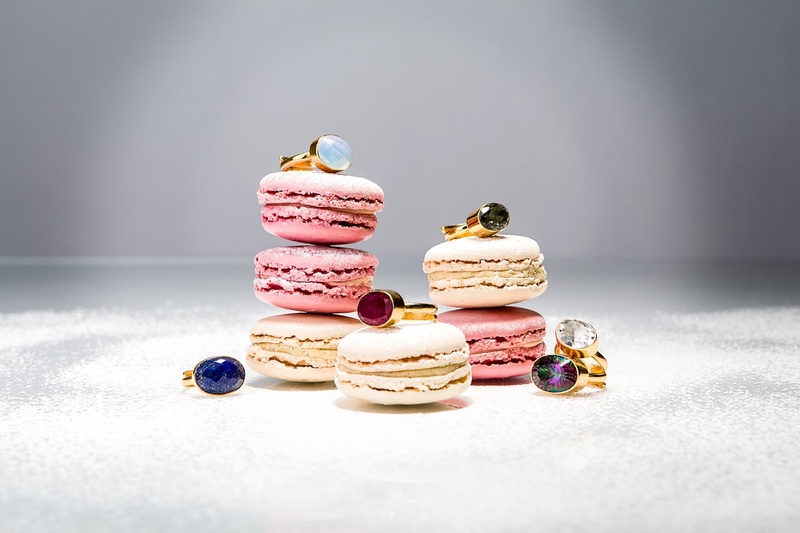 I do a like a little high end jewellery too! I’d love a gold Tiffany key pendant and I’m loving the new Dior fine jewellery collection! What is your own favourite piece of jewellery that you own? I’d have to say it’s my engagement ring – it’s art deco in style with a yellow diamond. Who is your dream celeb/style icon to wear a Six for Gold piece? From a sales perspective I’d say Kate Middleton as everything she wears is sold out in seconds! Her style is classy but I think she could use a little edge! Failing that I’d say Jennifer Anniston; she really can do no wrong in the style stakes. She has her off duty look down to a T! I can see her wearing the Australian Chrysophase pendant from Native Gem with a white T-shirt (one of my current favourite summer looks).